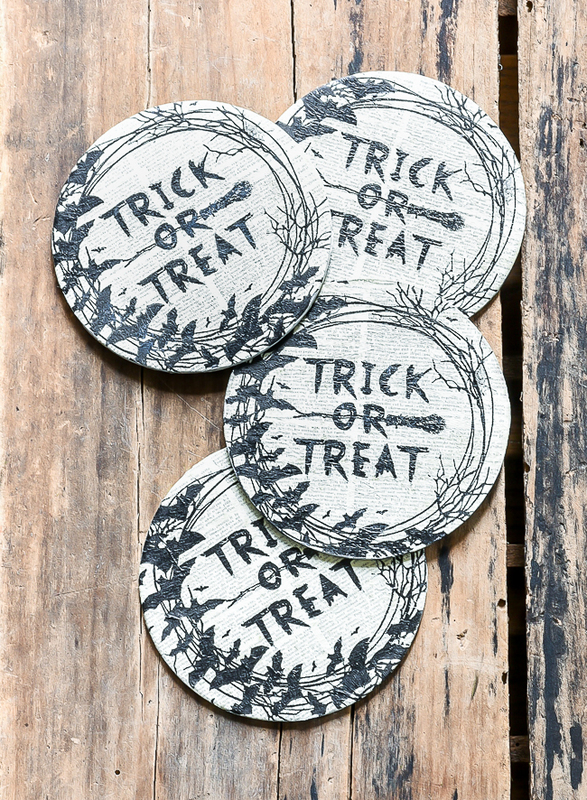 These super easy Halloween coasters are the perfect affordable accessory for your next Halloween bash! 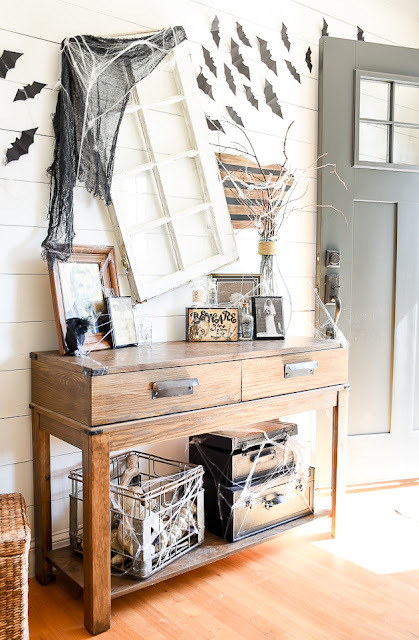 It's officially October, which means it's totally appropriate to pull out the spooky goblins and fake cobwebs and start decorating for Halloween, right? Besides Christmas, Halloween is my favorite "holiday" to decorate for. I always enjoy creating a spooky home for less and I love that my kids enjoy the creepy decor too. 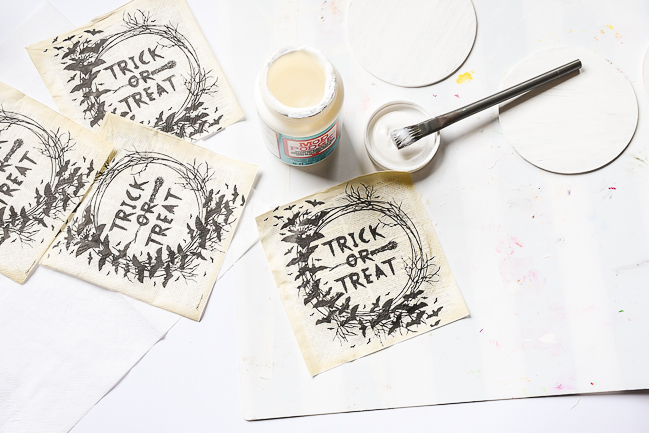 And what better way to start off October than with a fun and easy Halloween project for this month's Dollar Store DIY! 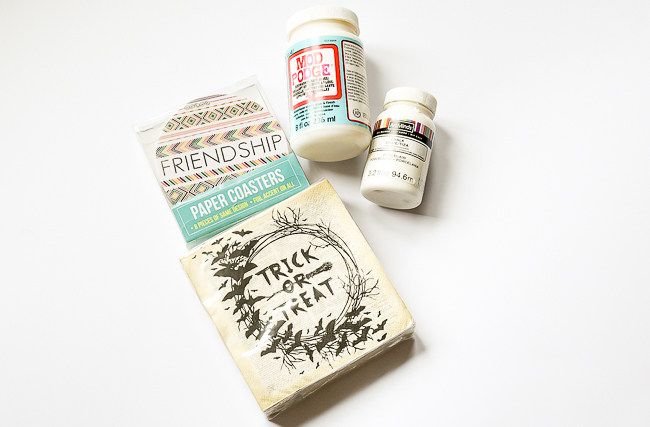 On one of my many Dollar Tree trips, I picked up a set of paper coasters knowing they would be perfect for an easy craft project. Dollar Tree also sells ceramic coasters, so if you prefer, you could always use those instead. 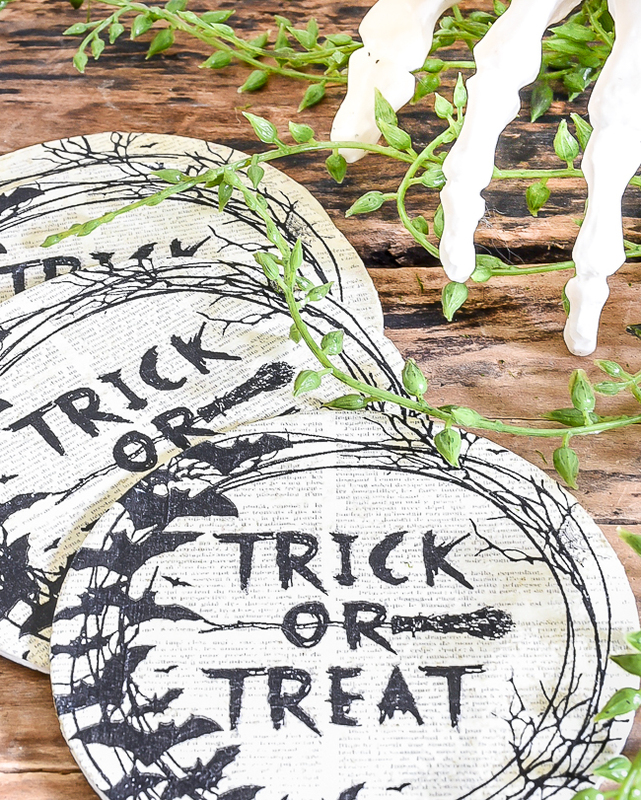 I wasn't quite sure how I was going to use the coasters, but as soon as I came across the perfect spooky Trick-or-Treat napkins at TJMaxx I knew I had to make Halloween coasters. 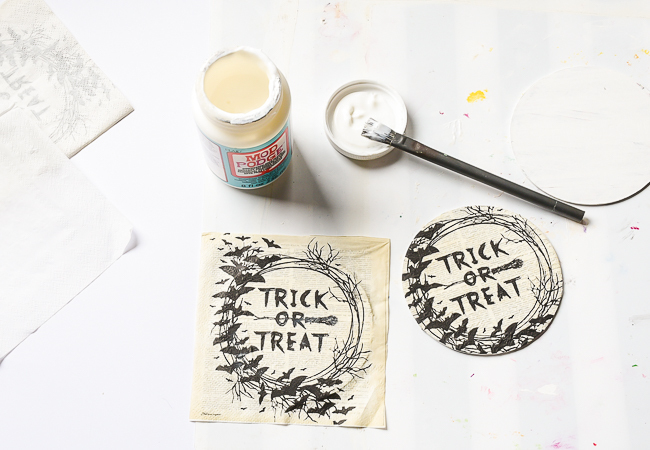 Here are the super easy steps I took to decoupage napkins onto Dollar Tree coasters. 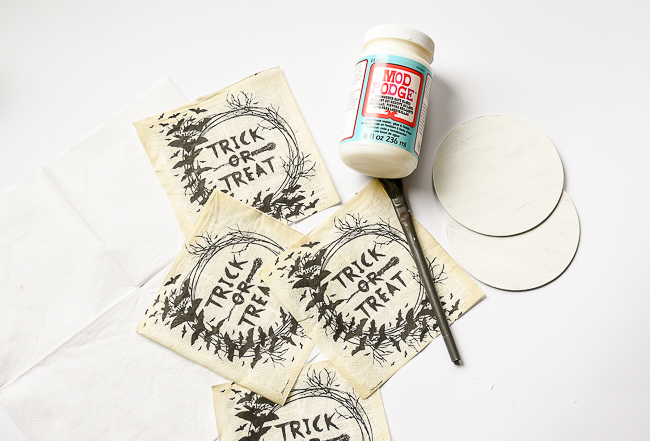 I gave each coaster two coats of white chalk paint to cover up the bright print. The napkins are super thin, so unless you start with a clean white surface you'll see the print through the napkins. While the paint was drying, I peeled apart the napkins separating the two layers. One napkin was enough to make 4 coasters. 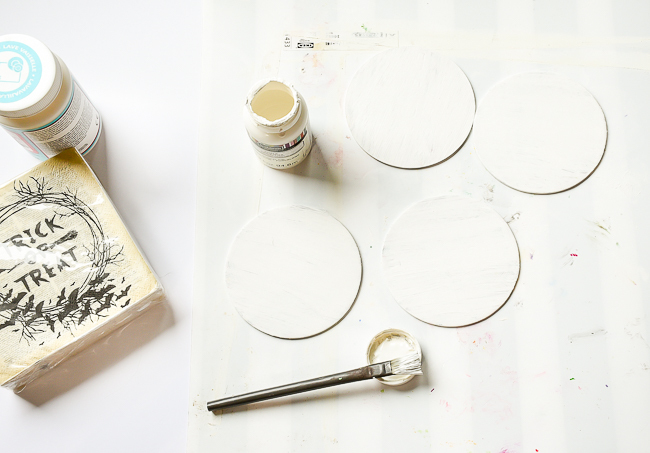 I applied a thin layer of Mod Podge on each coaster then carefully layered the napkin over top. I smoothed out any wrinkles or bubbles with my hand being careful not to tear the napkin. Once the Mod Podge was dry, I carefully cut around the edge of each coaster using scissors. After all the coasters were trimmed down, I finished them off with a few coats of dishwasher-safe Mod Podge. 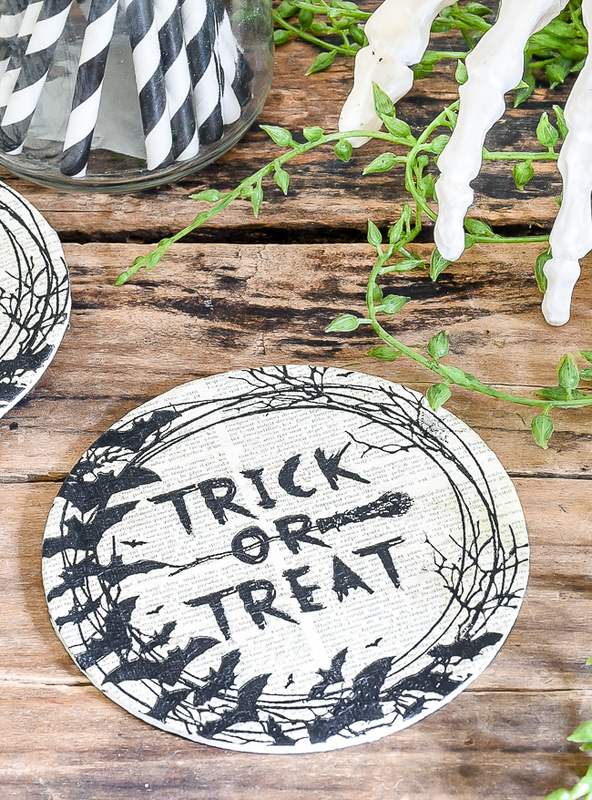 These easy Dollar Tree Halloween coasters would be perfect for a party or to simply add a touch of Halloween to your decor. 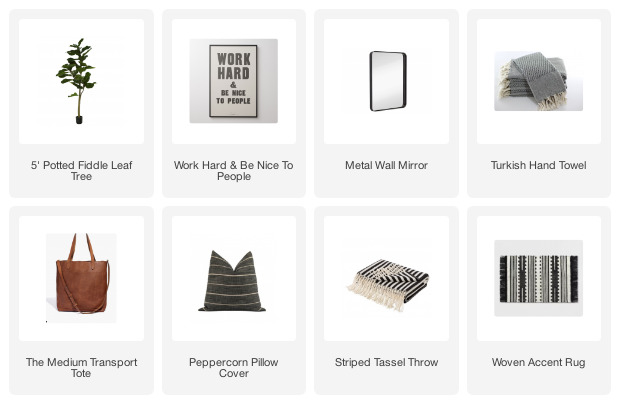 Going to make a lot of these coasters Christmas and thanksgiving also thanks for the great idea! !